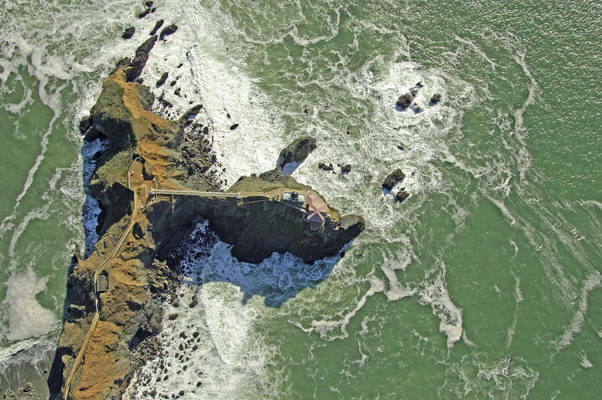 Point Bonita Lighthouse is perched atop a 50-foot-high cliff on the north side of Golden Gate (also know as the Marin side). 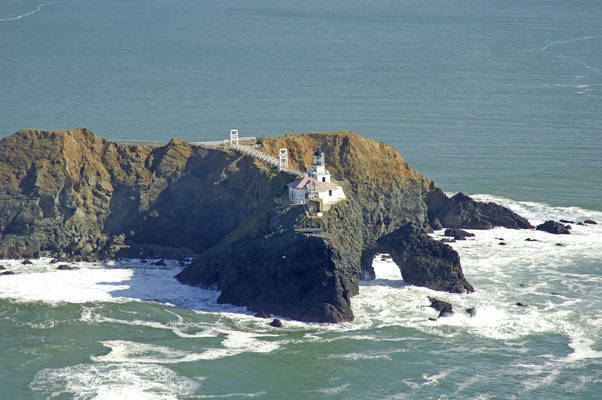 The light serves to warn mariners, both commercial and recreational, of the jagged and dangerous rocks surrounding the point and as a landmark for the point itself. 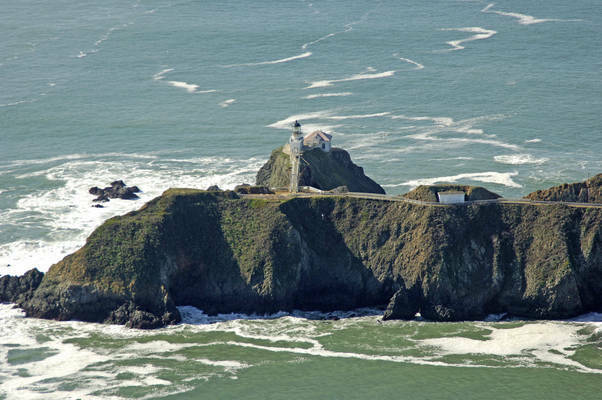 The original lighthouse was constructed some 260 feet above the waters surface, but was moved farther down Point Bonita in the 1870s to make it more visible in fog. 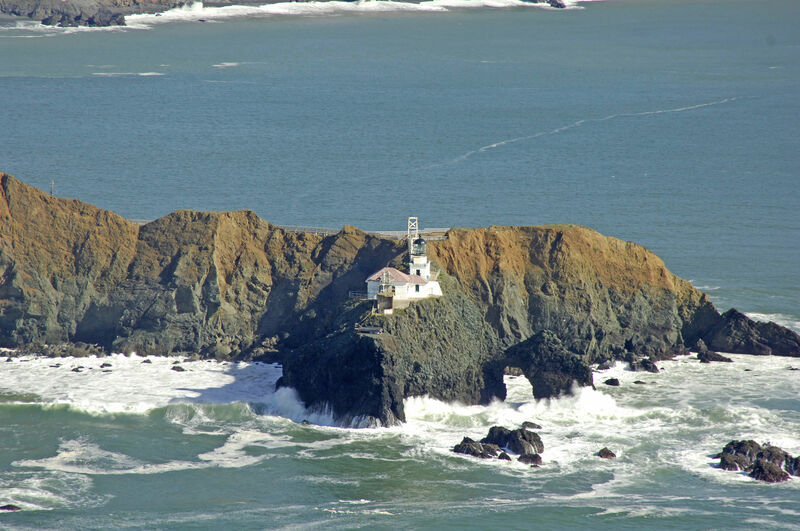 The house that stands watch in the current location was completed in 1877. One of the few lighthouses in the San Francisco region to escape significant damage from the 1906 earthquake, the light was automated by the Coast Guard in 1979, but still uses its original Fresnel lens. Characteristics: Occulting white light (four seconds on, four seconds extinguished), 124-foot-high focal plane. 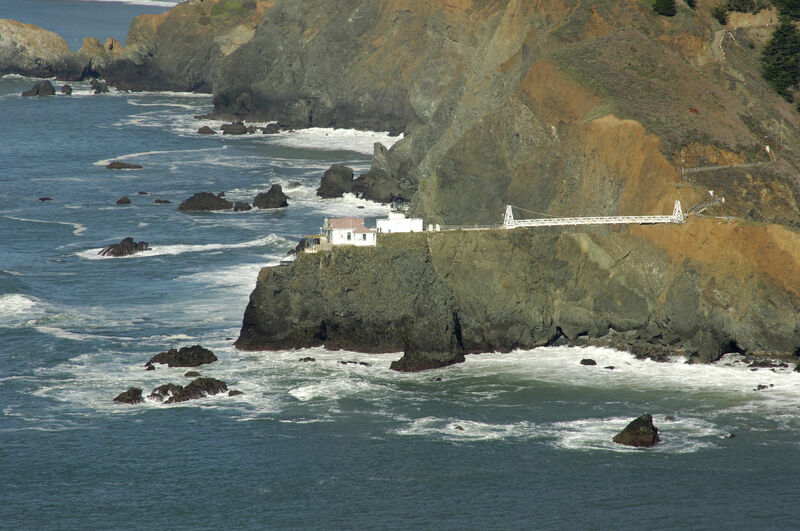 Point Bonita Lighthouse marks the northern limit of the San Francisco Bay traffic scheme and entrance to Golden Gate. 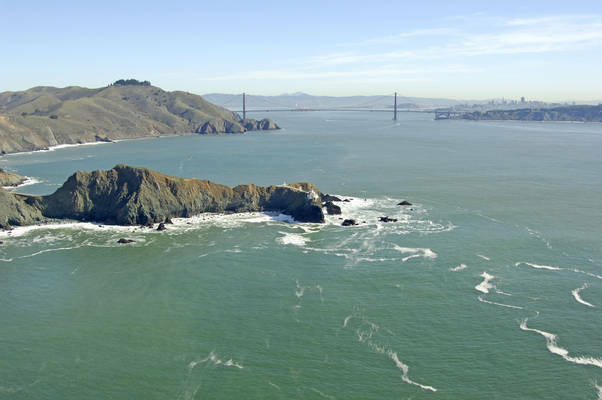 San Francisco Bay, and Golden Gate in particular, are notorious for their tricky currents, wind-opposed waves and infamous fog. 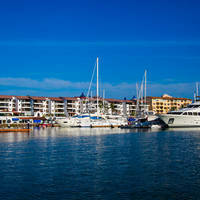 Particular care and attention is necessary when transiting these waters. 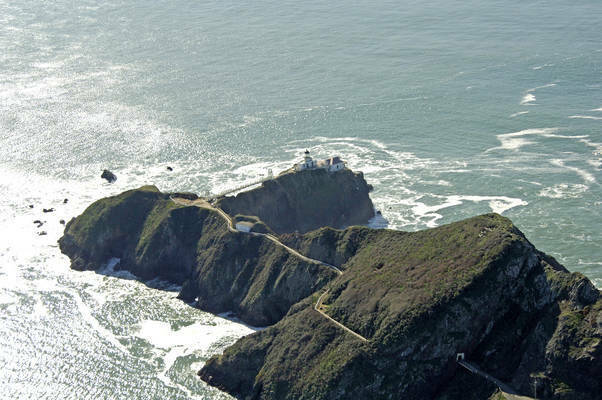 The lighthouse grounds are available to tour as part of the Golden Gate National Recreation are, but a decent hike is require to reach the lighthouse area. Tours of the lighthouse station itself are available on weekends. No reviews yet! Be the first to write a review of Point Bonita Lighthouse.